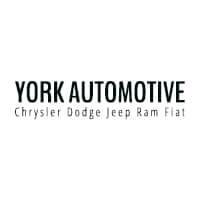 Find out more benefits of owning an SUV today, and if they sound like a good fit, it’s worth taking a look at the SUV selection at York CDJRF. Which SUVs Do We Carry? In addition, our highly-trained service and parts team can help you customize your next SUV. Whether you’re looking to organize your cargo area or head out to off-road parks outside of Brownsburg, we’re here to help. Explore even more SUV options by contacting us online!